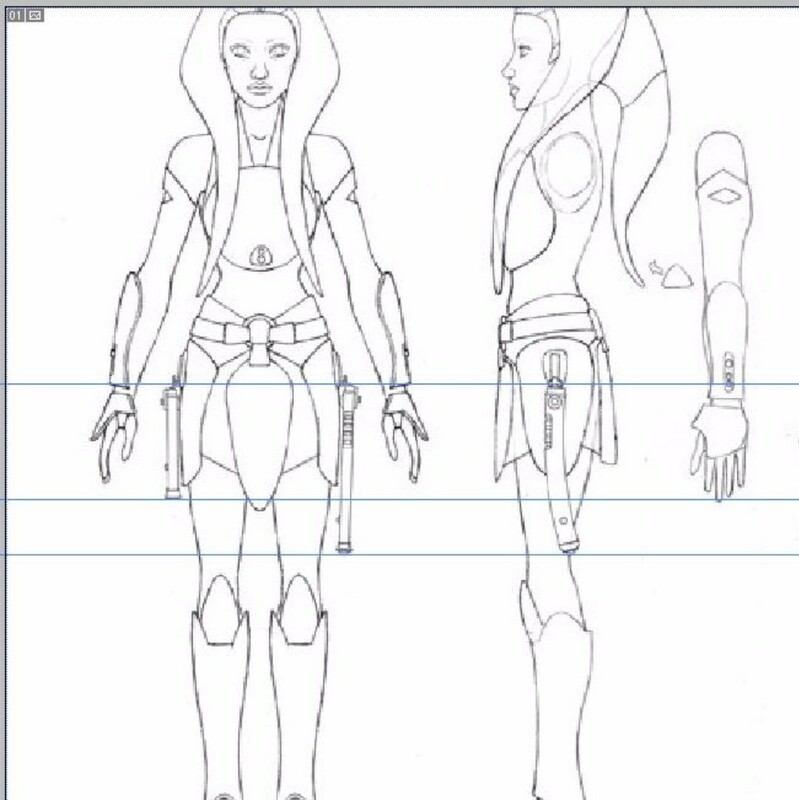 Genuine real Ahsoka Tano progress! 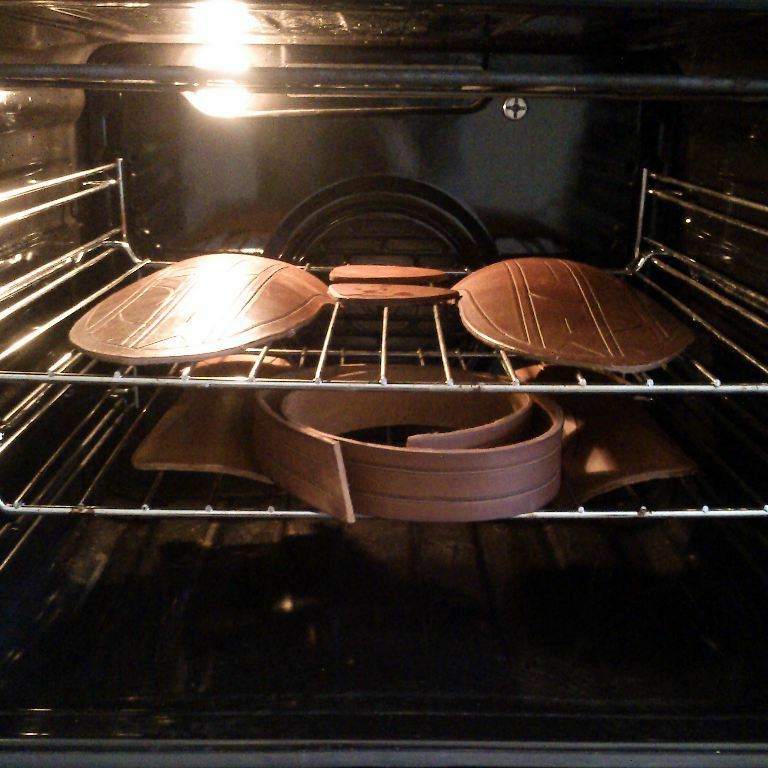 I wasn’t sure if our oven would be reliable to bake my leather armour in. I wasn’t sure if the curves would flatten out while on the trays and I wasn’t sure it would be under 60C but over 50C to get the pieces steaming but not scalding. But it worked! THe hip pieces are a little crisper than the gauntlets, they sand very well. But I don’t really want to try and soak the gauntlets again so there is going to just be a little extra edge seal to cure and sand back. I can paint these today, though it looks like I interpreted the belt strap wrong, it has a single channel. This is fine as the belt more than anything scalded on the racks and then when it fell onto the oven floor. This is how I scaled my hilts. I knew they were much to flat to fit a working blade in the end. And that is still true. 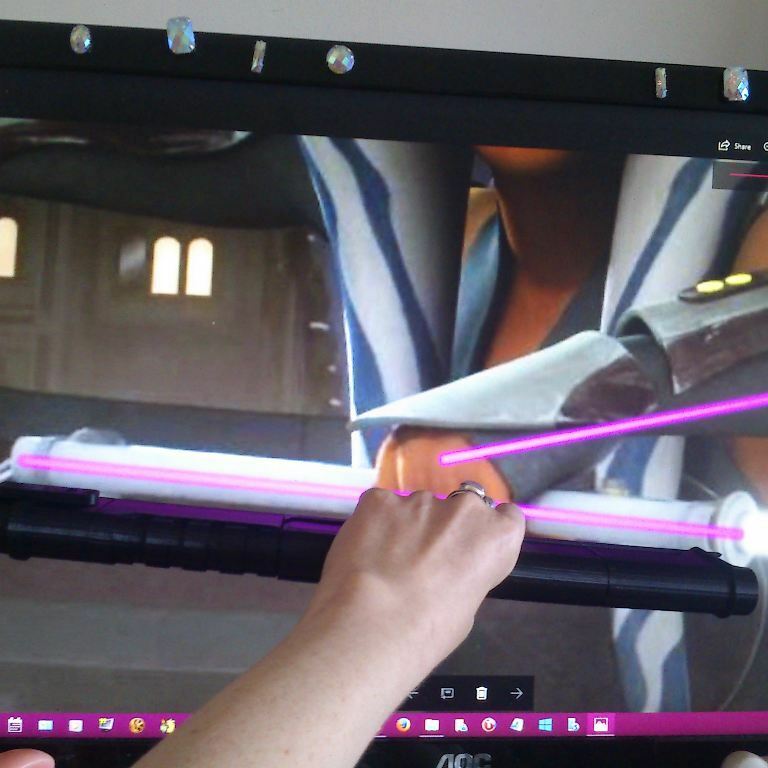 I did scale slightly to make them fit a 20mm tube (which is skinny enough for OT and Rebels era blades, the most common 25mm/1 inch) tubes are really good for prequel, TCW, and it looks like the new trilogy too. I did check my machine. It is perfect for PLA but it’s not completely happy with ABS. I’d need to set up each time with a new adhesion layer (glue stick did help) and do one component at a time. And that was going to be a week of constant work. Not great for stress levels. But my scaling made the hilts feel slightly oversized. It turns out I spotted other had this same conundrum of trying to fit a blade in. And so I tend to refer to my own hilts as FX style, after the MAster FX line of light up sabers. Going by knuckle space it works, but my hand itself is much smaller. On my leg it feels right but I’ve rescaled to the dimensions I think look best and it’s printing now. I did also test and her hand fits four times over the body of the hilt but it looks smaller due to the size of her hands over all. So it’s probably best to aim for that effect in hand. I’m doing Star Wars Reads tomorrow so sadly no Ahsoka, but I will have her ready for next week.